This is the highest level certification course for divers wishing to utilize the unit specific closed circuit rebreather (CCR) for advanced mixed gas diving. The objective of the course is to train divers in the benefits, hazards and proper procedures for advanced mixed gas diving on a CCR and to develop advanced CCR diving skills appropriate to technical diving to a maximum depth of 100 metres / 330 feet. 1. Minimum age of 18. 2. Certified TDI CCR Mixed Gas Diluent diver, or equivalent from agencies recognized by TDI. 3. Have a verified log of a minimum of 100 hours as a certified CCR diver over a minimum of 100 dives; a minimum of 50 hours and 50 dives must be on the unit specific CCR. 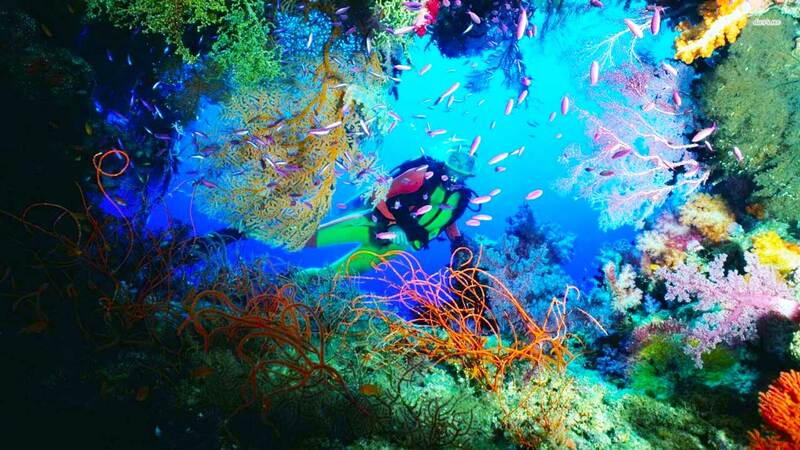 Fifty percent of these dives must be deeper than 30 metres / 100 feet all dives to be deeper than 9 metres / 20 feet. 1. Minimum of 420 minutes open water training to be completed over a minimum of 7 dives including 1 equipment configuration and drills practice air diluent dive to a maximum 40 metres/ 130 feet. 2. All subsequent dives to build incrementally in no greater than 10 metres / 33 feet steps. 3. A minimum of 6 dives must be conducted on mixed gas diluent. 4. All mixed gas dives are to be deeper than 40 metres / 130 feet. 5. Five of the mixed gas dives must be decompression dives. 6. In addition to meeting the course prerequisites, if the student is also qualified as a TDI Advanced Mixed Gas CCR Diver (any unit) or equivalent from agencies recognized by TDI then a minimum of only 240 minutes open water training is required over a minimum of 4 mixed gas decompression dives to build incrementally in no greater than 10 metres / 33 feet steps. Two dives must be deeper than 70 metres/ 230 feet. 7. In addition to meeting the course prerequisites, if the student is also qualified as a TDI Advanced Trimix Diver or equivalent from agencies recognized by TDI then a minimum of only 240 minutes open water training is required over a minimum of 4 mixed gas decompression dives to build incrementally in no greater than 15 metres / 50 feet steps. 8. Minimum of 6 hours for academic development and a further 2 hours for equipment configuration workshop. This course examines the use of EAN-21 through 100 percent oxygen for optimal mixes to a depth of 40 metres / 130 feet. The objective of this course is to train divers in the benefits, hazards and proper procedures for utilizing EAN-21 through 100 percent oxygen for dives not requiring staged decompression. TDI Decompression Procedures or the Intro to Tech may be combined with this course at the discretion of the instructor. 1. Minimum age 18, 15 with parental consent. 2. Minimum certification of TDI Nitrox Diver, or equivalent. 3. Show proof of 25 logged open water dives. 1. Four dives are required with a minimum accumulated bottom time of 100 minutes. 2. If advanced nitrox is taught in conjunction with decompression procedures*, only a total of 6 dives are required, more may be conducted at the discretion of the instructor, with a maximum depth of 45 metres / 150 feet. 3. If Advanced Nitrox is taught in conjunction with Intro to Tech*, only a total of four (4) dives are required, more may be conducted at the discretion of the instructor, but all dives must be conducted at depths within the diver’s current level of certification and no dives should exceed 23 metres / 75 feet. 4. The minimum number of classroom and briefing hours is 6. 1. Alternative second stage octopus attached to a primary regulator or a redundant scuba unit; 1.9 litre / 13 cu/ft minimum. 2. A submersible pressure gauge. 3. Depth gauge and automatic bottom timer and/or dive computer. 4. Buoyancy compensator device (BCD) with power inflator. 6. Exposure suit adequate for the open water environment. 7. Cylinder and regulator properly labelled and cleaned as required for EAN mixtures. 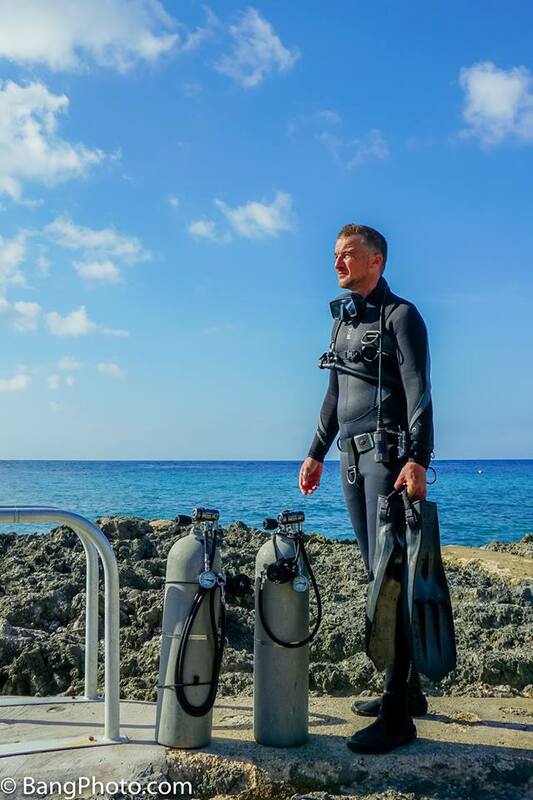 This course is designed to teach certified sidemount divers how to safely utilize side-mounted primary cylinders and additional stage / decompression cylinders as an alternative to the traditional back-mounted configuration. In addition this course introduces some of the disciplines and skills from the overhead environment. This course can be combined with other TDI courses such as: Decompression Procedures, Extended Range, Trimix, Advanced Trimix and Advanced Wreck. If combined the standards for both courses must be met. 2. Minimum certification; SDI Advanced Open Water Scuba Diver or the equivalent. 3. 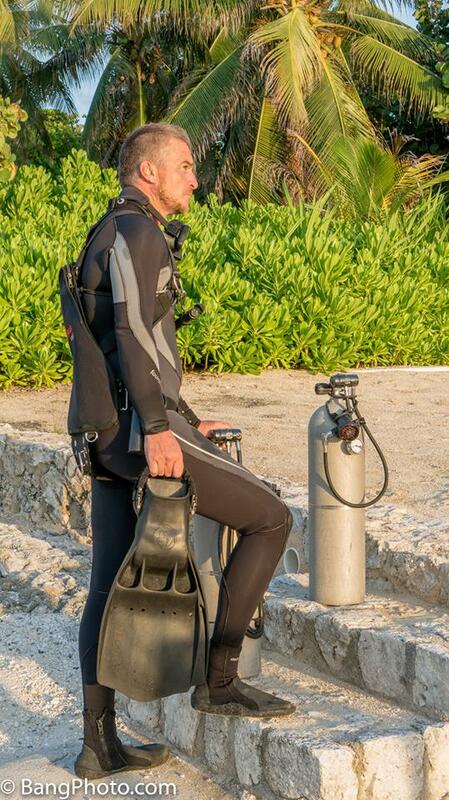 Minimum of 25 logged sidemount dives. 1. 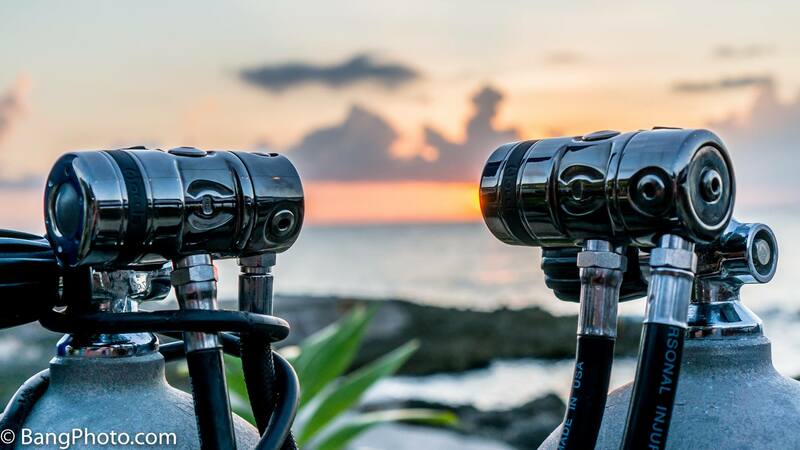 Minimum of six (6) sidemount dives with a total bottom time of one hundred (100) minutes conducted, of which a minimum of two (2) must be using at least 3 stage tanks and one (1) with a minimum of four (4) stage tanks. 2. The minimum number of classroom and briefing hours is four (4) 2. Course must be taught over a minimum of three (3) days. 1. 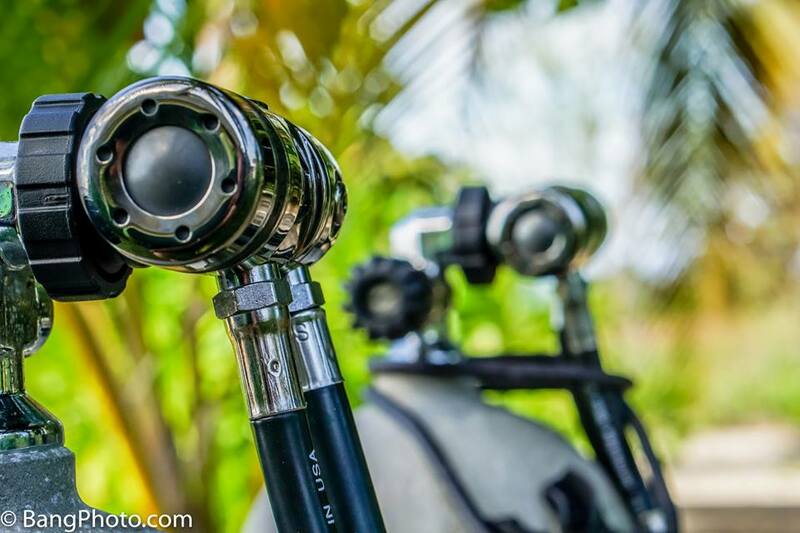 Dual cylinders, volume appropriate for planned dive, and student gas consumption. 2. Two independent first and second stage regulators each with a submersible pressure gauge. 3. Additional stage / decompression cylinders. 4. First and second stage regulators each with a submersible pressure gauge for each cylinder. 5. Buoyancy compensator device (BCD) with power inflator appropriate for side mount configuration. 8. Dive computer and an additional depth and timing device; backup computer recommended. The TDI Advanced Trimix course provides the training required to competently and safely utilize breathing gases containing helium for dives that require staged decompression, utilizing nitrox and / or oxygen (O2) mixtures during decompression to a maximum depth of 100 metres / 330 feet. The objective of this course is to train divers in the benefits, hazards and proper procedures of utilizing custom oxygen / helium / nitrogen mixtures as breathing gases. 1. Minimum age 18 2. Minimum certification TDI Extended Range Diver or Entry Level Trimix Diver, or equivalent. 3. Provide proof of a minimum 100 logged dives with 25 deeper than 30 metres / 100 feet. 4. Provide proof of prior logged experience w/ double cylinders and any other unfamiliar equipment such as dry suit. 1. Four dives with a minimum accumulated bottom time of 100 minutes. 2. At least 2 dives should be deeper than 70 metres / 230 feet Course Structure. 3. The minimum number of classroom and briefing hours is 8. 1. Bottom mix cylinder(s) a. Cylinder volume appropriate for planned dive and student gas consumption b. Dual outlet valve, double manifold or independent doubles. 2. Travel mix cylinder(s) a. Cylinder volume appropriate for planned dive and student gas consumption b. Labelled in accordance with TDI Standards. 3. Decompression mix cylinder(s) a. Cylinder volume appropriate for planned dive and student gas consumption b. Labelled in accordance with TDI Standards. 4. Suit inflation cylinder, required for dry suit divers only. 5. Regulators a. Primary and primary redundant required on all bottom mix cylinder(s) b. Submersible pressure gauges are required on all primary bottom mix cylinders c. A contingency use long hose second stage should be designated and appropriately rigged to facilitate air sharing at depth if necessary d. It is strongly recommended that all 4 required regulators be all DIN or all 4 yoke. 6. Buoyancy compensator device(s) (BCD) adequate for equipment configuration. 7. Redundant depth and timing devices; air decompression computers allowed for use as depth and timing devices and underwater slate. 8. Redundant light system if required by site. 9. Ascent reel with lift bag/surface marker buoy a. Adequate for maximum planned depth b. Minimum of 23 kg / 50 lb lift bag; a dump valve highly recommended. 10. Exposure suit adequate for the open water environment. This is the second level certification course for divers wishing to utilize a closed circuit rebreather (CCR) for air diving. The objective of the course is to train divers in the benefits, hazards and proper procedures for diving a CCR and to develop basic CCR diving skills to a maximum depth of 45 metres / 150 feet using an air diluent for formal decompression diving. 2. Provide proof of 50 logged dives. 3. Provide proof of TDI Advanced Nitrox Diver and Deco Procedures Diver or equivalent from agencies recognized by TDI. 4. If the rebreather is a TDI approved sidemount rebreather, the student must hold the TDI Sidemount Diver certification or equivalent and provide proof of 10 logged sidemount dives. 1. Minimum of 60 minutes confined water training to a maximum of 9 metres / 30 feet Open Water Execution. 2. Minimum of 420 minutes open water training, to be completed over a minimum of 7 dives with a gradual increase in depth each day to a maximum of 45 metres / 150 feet Course Structure. 3. Minimum of 6 hours academic development and 2 hours equipment maintenance workshop. 4. The duration of the entire course must take a minimum of 5 days. 1. A complete closed circuit rebreather. 2. Minimum of 1 CCR dive computer, or bottom timer and depth gauge. 5. Reel with a minimum of 50 metres / 165 feet of line. 6. Lift bag / delayed surface marker buoy (DSMB) with a minimum of 12 kg / 25 lb lift. 8. Access to an oxygen analyser. 10. Bailout gas supply cylinder with a minimum capacity of 5.7 litres / 40 cu ft air or nitrox may be used. This is the entry level certification course for divers wishing to utilize a closed circuit rebreather (CCR) for air diving. The objective of the course is to train divers in the benefits, hazards and proper procedures for diving a CCR and to develop basic CCR diving skills to a maximum depth of 30 metres / 100 feet, using air as a diluent. No decompression diving is allowed on this course. 2. Provide proof of 20 logged open water dives. 3. Provide proof as a TDI Nitrox Diver or equivalent from agencies recognized by TDI*. 2. Minimum of 420 minutes open water training to be completed over a minimum of 7 dives with a gradual increase in depth each day to a maximum of 30 metres / 100 feet Course Structure. 5. Reel with a minimum of 40 metres / 130 feet of line. 6. Lift-bag / delayed surface marker buoy (DSMB) with a minimum of 12 kg / 25 lbs lift. 8. Bailout gas supply (and an externally carried redundant air source). This course examines the theory, methods and procedures of planned stage decompression diving. This program is designed as a stand-alone course or it may be taught in conjunction with TDI Advanced Nitrox, Advanced Wreck, or Extended Range Course. The objective of this course is to train divers how to plan and conduct a standard staged decompression dive not exceeding a maximum depth of 45 metres / 150 feet unless taught in conjunction with the TDI Extended Range Course. The most common equipment requirements, equipment set-up and decompression techniques are presented. Students are permitted to utilize enriched air nitrox (EAN) mixes or oxygen for decompression provided the gas mix is within their current certification level. 2. Minimum certification of SDI Advanced Adventure Diver, Advanced Diver, or equivalent. 4. Provide proof of 25 logged open water dives. 1. Four dives are required, 2 of those dives must be deeper than 30 metres / 100 feet. 2. If advanced nitrox is taught in conjunction with decompression procedures only a total of 6 dives are required. 3. The minimum number of classroom and briefing hours is 6. 2. Decompression mix cylinder(s) a. Cylinder volume appropriate for the planned dive and student gas consumption with submersible pressure gauge b. Labelled in accordance with TDI Standards. 3. Depth gauge and automatic bottom timer and / or dive computer. 4. Regulator(s) a. Primary and alternate 2nd stage required on all primary cylinders b. Submersible pressure gauges are required on all primary cylinders. 5. 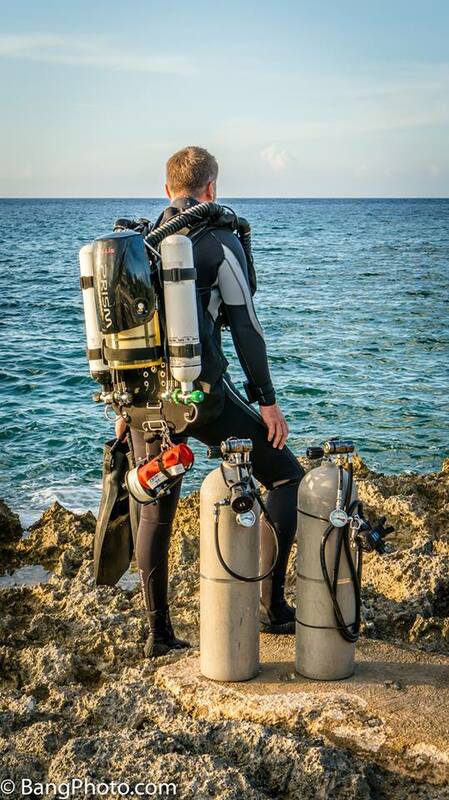 Buoyancy compensator device(s) (BCD) adequate for equipment configuration. 7. Jon-line and other rigging lines as dictated by site conditions. 8. Ascent reel with lift bag /surface marker buoy a. Adequate for maximum planned depth b. Minimum of 12 kg / 25 lb lift bag. 9. Exposure suit adequate for the open water environment. This course provides training and experience required to competently utilize air for dives up to 55 metres / 180 feet that requires staged decompression, utilizing nitrox mixtures or oxygen during decompression. The objective of this course is to train divers in the proper techniques, equipment requirements, and hazards of deep air diving to a maximum of 55 metres / 180 feet utilizing nitrox mixtures or oxygen for staged decompression. 2. Certified as a TDI Advanced Nitrox Diver and TDI Decompression Procedures Diver, or equivalents. 3. Provide proof of a minimum of 100 logged dives, of which 25 must be deeper than 30 metres / 100 feet. 2. All dives must be deeper than 30 metres / 100 feet with 2 dives deeper than 40 metres / 130 feet. 1. Bottom mix cylinder(s) a. Cylinder volume appropriate for planned dive and student gas consumption b. Dual outlet valve, double manifold or independent doubles c. Labelled in accordance with TDI Standards. 2. Travel mix cylinder(s) if used a. Cylinder volume appropriate for planned dive and student gas consumption b. Labelled in accordance with TDI Standards. 4. Regulator(s) a. Primary and primary redundant regulators required on all bottom mix cylinders b. Submersible pressure gauges are required on all primary / bottom mix cylinder(s) c. A contingency use long hose second stage should be designated and appropriately rigged to facilitate air sharing at depth if necessary. 6. Redundant depth and timing devices and underwater slate. 7. Air decompression computers allowed for use as depth and timing devices. 8. Redundant light system if needed for site conditions. 9. Jon-line and other rigging lines as dictated by site conditions. 10. Ascent reel with lift bag/surface marker buoy a. Adequate for maximum planned depth b. Minimum of 12 kg / 25 lb. lift bag/surface marker buoy. 11. Exposure suit adequate for the open water environment. 12. Two line cutting devices. 1. A complete closed circuit rebreather configured within the manufacturers recommendations; this should be the student’s personal unit. 2. Minimum of 2 bottom timers and depth gauges or; 1 CCR mixed gas computer and 1 bottom timer and depth gauge. 3. Bailout gas supply in a minimum of 2 separate off-board cylinders; calculated at 45.30 litres /1.06 cubic feet per minute usage to cover stress situations. 4. Two open circuit regulators and gauges fitted to the configuration. 5. Mask, fins and a suitable line-cutting device. 7. Reel with a minimum of 60 metres / 200 feet of line. 8. Reel with a minimum of 30 metres / 100 feet of line. 9. Two lift bags / delayed surface marker buoys (DSMB’s) with a minimum of 12 kg / 25 lbs lift. 10. Exposure suit adequate for the open water environment where training will be conducted. 11. Access to an oxygen analyser / access to a helium analyser. 1. A complete unit specific CCR; this should be the student’s personal unit. 2. Minimum of 2 bottom timers and depth gauges or 1 CCR mixed gas computer and 1 bottom timer and depth gauge. 3. Bailout gas supply in a minimum of 2 separate off-board oxygen clean cylinders; calculated at 45.30 litres /1.06 cubic feet per minute usage to cover stress situations. 7. Reel with a minimum of 100 metres / 330 feet of line. 8. Reel with a minimum of 50 metres / 165 feet of line. This is the intermediate level certification course for divers wishing to utilize a closed circuit rebreather (CCR) for mixed gas diving. The objective of the course is to train divers in the benefits, hazards and proper procedures for mixed gas diving on the unit specific CCR, utilizing a mixed gas diluent containing 16 percent or greater oxygen, and to develop intermediate CCR diving skills appropriate to technical diving to a maximum depth of 60 metres / 200 feet. 2. Provide a verified log of a minimum of 50 rebreather hours distributed over a minimum of 50 dives on the specific rebreather. Valid logged dives must be deeper than 9 metres / 20 feet, half of which must be deeper than 20 metres / 66 feet. If the diver has 50 hours on another CCR unit recognized by TDI, only 25 hours are required to be on the specific unit. 3. Have completed and qualified the TDI Air Diluent Decompression Procedures Rebreather/TDI CCR Helitrox Diluent Decompression Procedures Diver course or equivalent from agencies recognized by TDI. 1. Minimum of 360 minutes open water training to be completed over a minimum of 6 dives including 1 equipment configuration and drills practice air diluent dive to a maximum 40 metres / 130 feet. 3. A minimum of 5 dives must be conducted on mixed gas diluent. 4. All mixed gas dives are to be deeper than 40 metres / 130 feet, utilizing a mixed gas diluent containing 16 percent or greater oxygen, to a maximum depth of 60 metres/200 feet. 5. 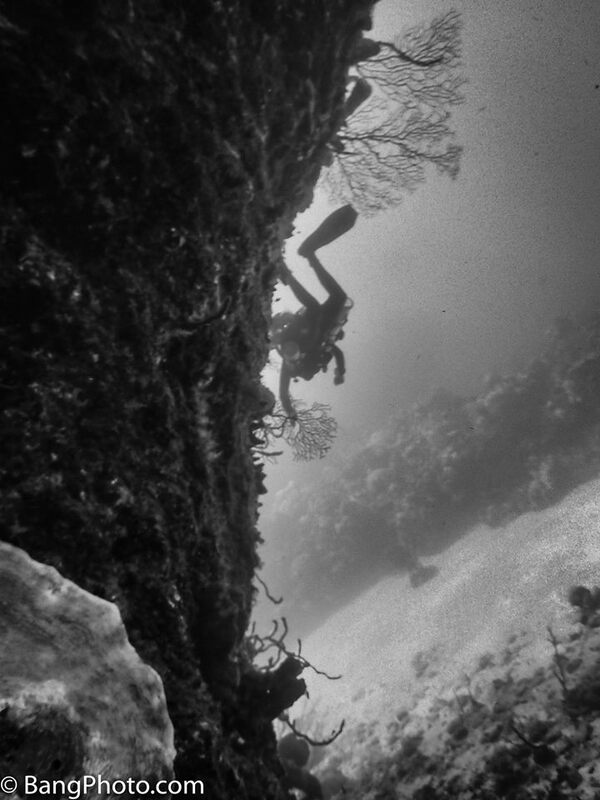 A minimum of four dives must be decompression dives. 6. In addition to meeting the course prerequisites, if the student is also qualified as a TDI Mixed Gas CCR Diver (any unit) or equivalent from agencies recognized by TDI then a minimum of 240 minutes open water training is required over a minimum of 4 mixed gas decompression dives to build incrementally in no greater than 15 metres / 50 feet steps. 7. In addition to meeting the course prerequisites, if the student is also qualified as a TDI Trimix Diver or equivalent from agencies recognized by TDI then a minimum of 240 minutes open water training is required over a minimum of 4 mixed gas decompression dives to build incrementally in no greater than 15 metres / 50 feet steps. This is the entry-level certification course for recreational divers wishing to utilize enriched air nitrox (EAN) as a breathing gas. The objective of this course is to train divers in the benefits, hazards, and proper procedures for using nitrox mixes from 22 through 40 percent oxygen content. 2. Have a minimum certification of open water diver or a current enrolment in an open water diver course. 1. Two nitrox dives are recommended but are not required Course Structure. 2. The suggested number of classroom hours is 3. 1. Nitrox cylinder for analysing. 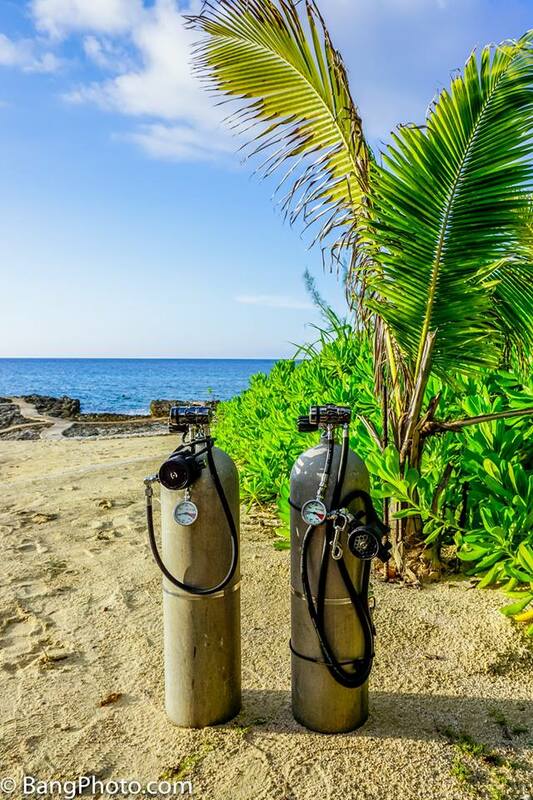 This course is designed to teach certified divers how to safely utilize side-mounted primary cylinders as an alternative to the traditional back-mounted configuration. This course can be combined with other TDI courses such as: Decompression Procedures, Extended Range, Trimix, Advanced Trimix and Advanced Wreck. If combined the standards for both courses must be met. 2. Minimum certification; SDI Open Water Scuba Diver or the equivalent. 1. Three dives are required with a minimum accumulated bottom time of 90 minutes. 2. Course must be taught over a minimum of 2 days. 3. The suggested number of classroom and briefing hours is 4. 3. Buoyancy compensator device (BCD) with power inflator appropriate for sidemount configuration. 4. Exposure suit adequate for diving environment. 6. Dive computer and an additional depth and timing device; backup computer recommended. If recreational diving isn’t enough go deeper with Stingray Watersports. Located in the luxury condos of Coconut Bay, West Bay, Grand Cayman; Stingray Watersports offers a full spectrum of open and closed circuit technical courses from beginner level through to Advanced Trimix. 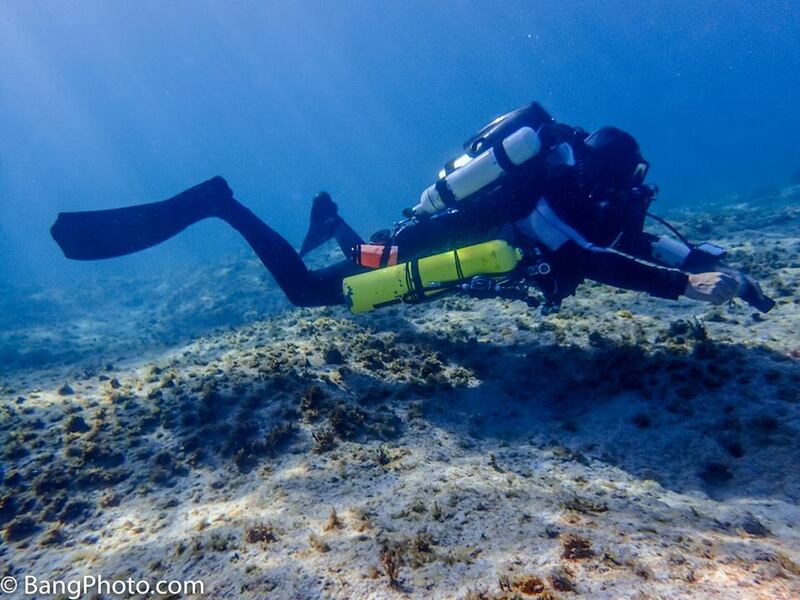 Additionally Sidemount is taught as a stand-alone course or combined with entry level open circuit courses. 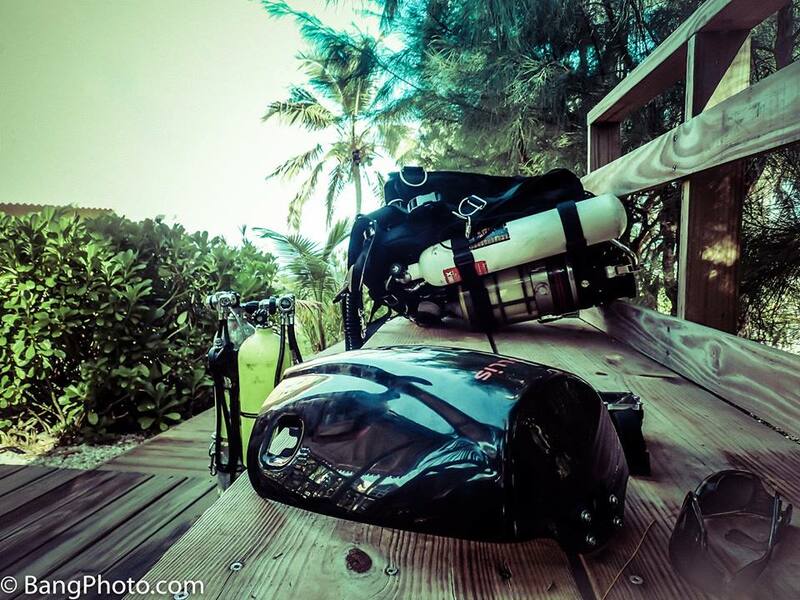 For the avid sidemount diver Advanced Sidemount or Technical Sidemount is also available. Stingray Watersports has four experienced technical instructors from the UK, affiliated with both TDI and PADI, on staff with over 25 years of experience in technical diving in some of the most challenging environments diving has to offer around the World, from the UK, South East Asia, Indonesia, Egypt and the caves of Mexico. 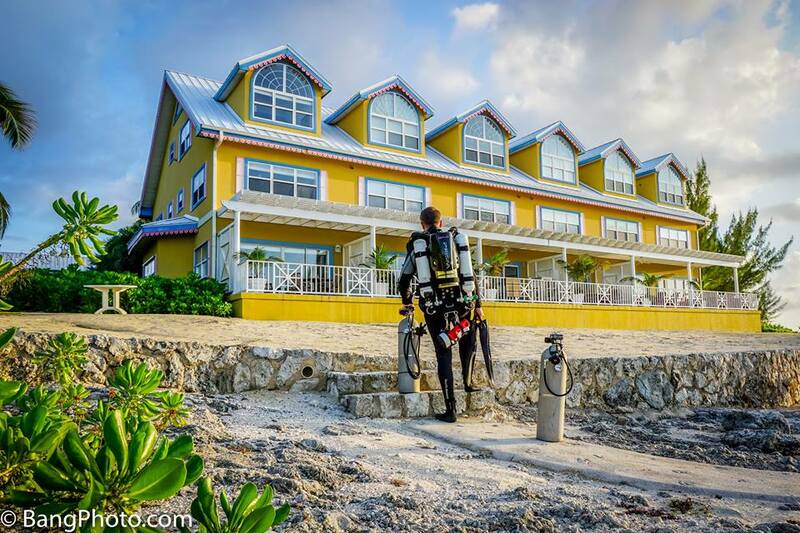 The Coconut Bay Condos are situated directly on the beautiful shore diving location of Hepps Pipeline and Hepps Wall, providing the easiest access to some of the best underwater topography and life available on Grand Cayman. Easy entry on the shore ladder gives access to the unlimited depth and beauty of the Cayman Island walls. The mini wall is 75 yards and the main wall 160 yards from the ladder. Deep wall diving at its very best. For divers who are already certified both technical open circuit and technical CCR guided dives are available from either shore or boat. Please refer to our Course List for a full list of adventures for you to undertake. 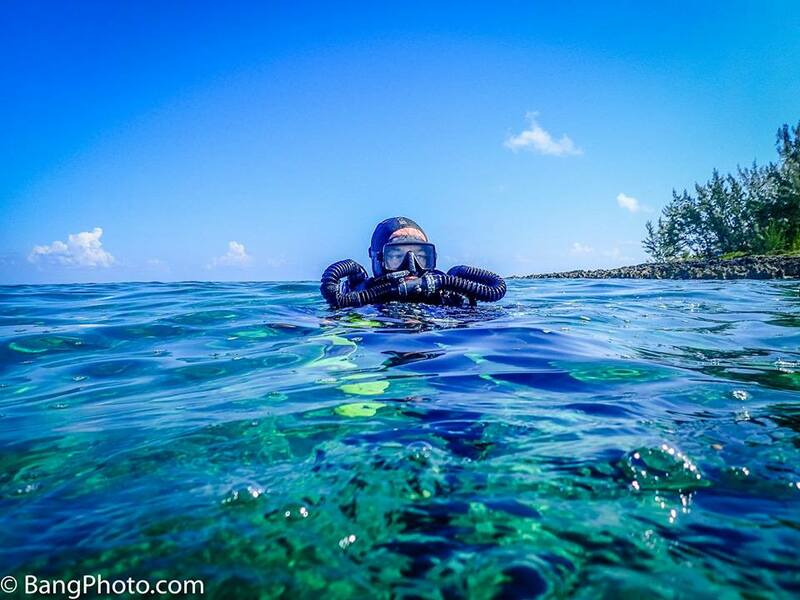 Prices include instructor fee, materials, required shore dives and certification. Prices do not include equipment / CCR rental, scrubber, boat dives, private instruction or gas. The TDI Trimix course provides the training required to competently and safely utilize breathing gases containing helium for dives that require staged decompression, utilizing nitrox and / or oxygen mixtures during decompression to a maximum depth of 60 metres / 200 feet. The objective of this course is to train divers in the benefits, hazards and proper procedures of utilizing custom oxygen / helium / nitrogen mixtures as breathing gases. Gas mixes are not to have any less than 18 percent oxygen (O2). 2. Minimum certification as a TDI Advanced Nitrox Diver and TDI Decompression Procedures Diver, or equivalent. 3. Provide proof of a minimum 100 logged dives. 1. Four decompression dives are required with a minimum accumulated bottom time of 100 minutes. 2. Two of the dives should be deeper than 40 metres / 130 feet. 1. Bottom mix cylinder(s) a. Cylinder volume appropriate to complete all planned decompression on bottom mix b. Dual outlet valve, double manifold or independent doubles. 2. Decompression mix cylinder(s) a. Cylinder volume should contain a minimum of 1.5 times the gas required for the planned decompression b. Labelled in accordance with TDI Standards. 3. Suit inflation cylinder, required for dry suit divers only. 4. Regulators a. Primary and primary redundant required on all bottom mix cylinder(s) b. Submersible pressure gauges are required on all primary / bottom mix cylinders c. A contingency use long hose second stage should be designated and appropriately rigged to facilitate air sharing at depth if necessary d. It is strongly recommended that the 3 required regulators be all DIN or all yoke. 7. Air decompression computers are allowed for use as depth and timing devices, provided they have a gauge mode.